Miu Miu's runways are always filled with retro references and these fold-over boots are a definite nod to the '80s. 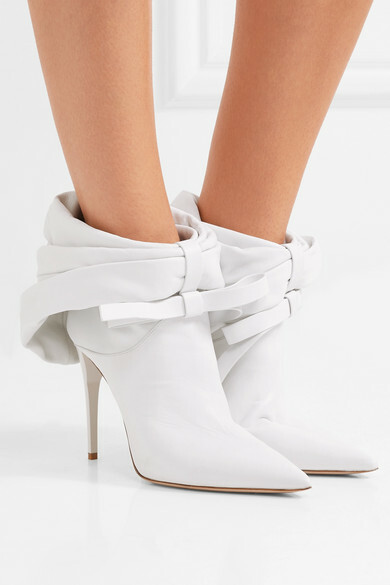 Made from soft white leather for a slouchy fit around the ankle, they have a pointed toe and rest on a 105mm stiletto heel. Show the bow embellishments off with mini hemlines. Shown here with: Attico Sweater, Miu Miu Skirt, Prada Shoulder bag.